I spent Thanksgiving with Julie (who taught me most of what I know about stamping) and her mom,Jo (who taught Julie most of what she knows about stamping). 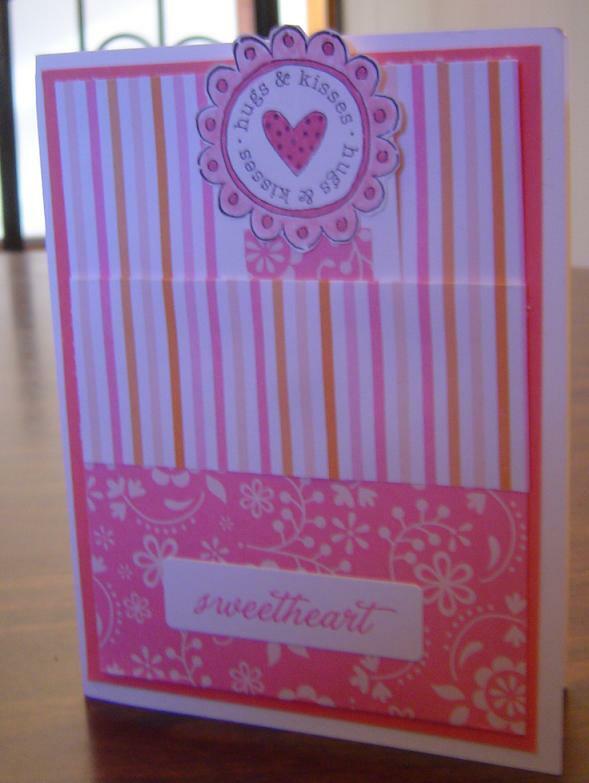 When we talked about this week's tutorial, Jo said our favorite stampng day phrase, "You know what you COULD do..."
Here's a sample card made by Julie of a pocket fold card. She started with a piece of cardstock 11 x 4.25" and folded it in half, adhering just the edges on either side, then she folded forward about 1.5" and decorated the front. The insert is 3.5 x 5.25" and is meant as a place for a message to be written. I've tried a variation on this card that allows the sender to write inside the card normally. I started with an A2 sized card base and then adhered a layer of contrasting cardstock 5.25 x 4". My pocket is made with a piece of double sided designer paper 3.75 x 10". Again the paper is folded in half and just the edges are glued to make a pocket. Since the sender has the entire inside of the card for writing, I have inserted a bookmark that is about 5.5 x 1.5". 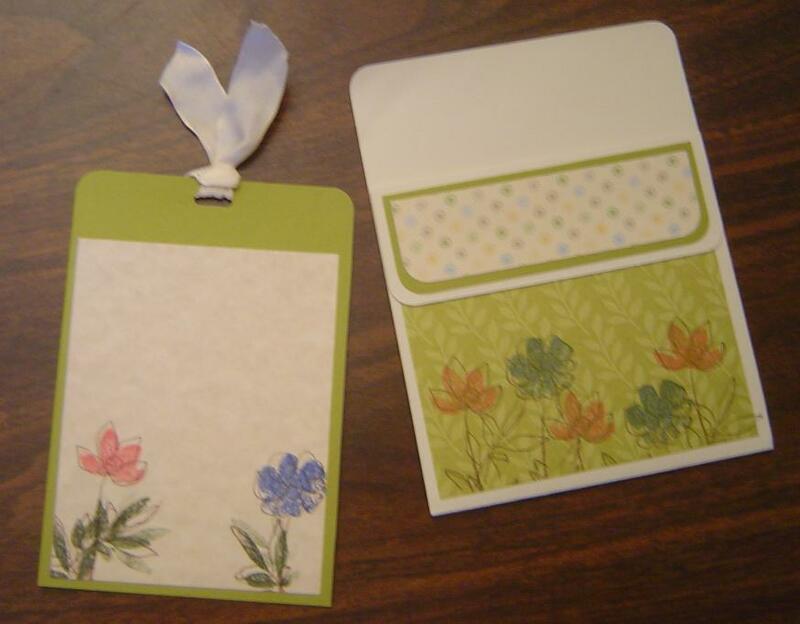 You could embellish it in any number of ways, including leaving space on the bookmark for a personal message as well. Remember, if you would like to contribute a Tuesday Tutorial, please email kate@operationwritehome.org.